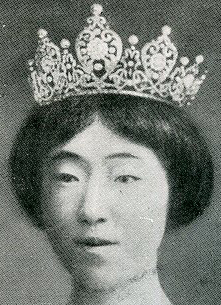 Was this tiara made from Empress Kōjun's tiara? Probably it was created originally for Empress Kojun by Mikimoto in 1924, at the time of her marriage to Emperor Showa. 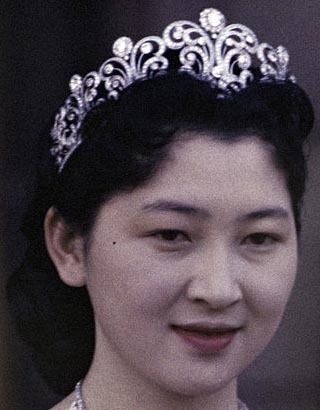 Empress gave it to her daughter-in-law at the time of the marriage of Crown prince Akihito and Crown Princess Michiko. Then Mikimoto remade that tiara, now it is called 'Crown Princess's first tiara' and belongs to Crown Princess Masako. 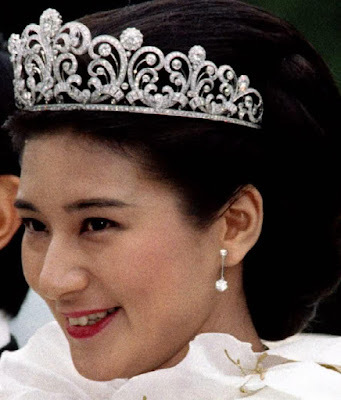 Although this tiara is the highest-ranked tiara of the crown princess, it have not been seen in public since 2003, even in the inauguration of Dutch King in 2013, which was the Crown Princess Masako's first official service in a last decade.